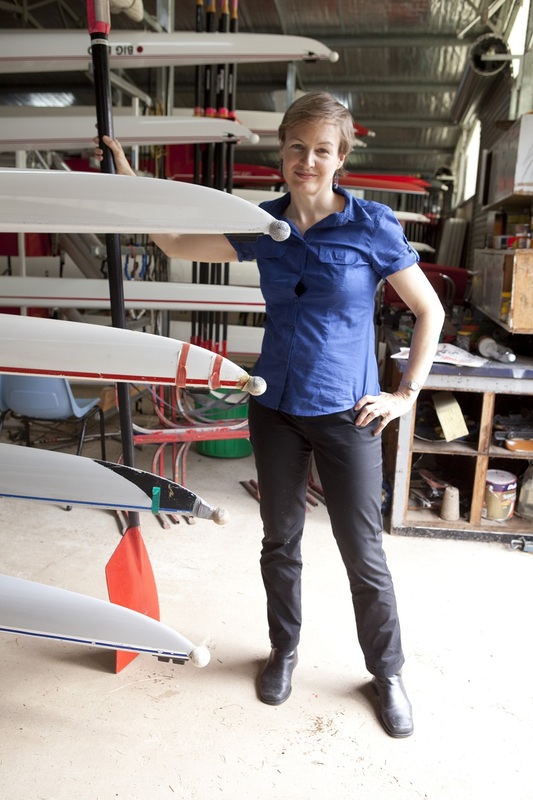 Passionate rower, expert on Adam Smith, one-time national director of ChilOut, a community group whose focus is the safety and well being of children locked in detention centres, Dr Mary Quilty is a polymath, and a great facilitator. When did you start facilitating? I started facilitating about five years ago. I was a tutor and lecturer at university and I had also been a rowing coach. And then I did a Certificate IV course in Training and Assessment. It was good, if any academic wants to become a facilitator, do a Certificate IV in training and make sure you do all of the hands-on activities! Tutoring at university is very different, very quiet, compared to the hands-on facilitation we do at Ethos CRS. What advice do you wish you’d been given when you started work as a public servant? What tips? Coming from academia to the public service where you’re part of a greater whole, you’re no longer a free agent, like you are in academia. You’re just a small cog in a big machine. You’re part of a hierarchy and you have to report to those people above you, but don’t report too far up the line, instead of sending a draft document to the director of your branch, give it to your manager instead. Get to know the policy cycle so you realise what part you’re playing. Also, ask your manager what they mean by policy because a lot of people in the public service are working on policy but they don’t know what the word actually means. Understand that the minister is at the top of the chain and you are indirectly serving them. What you write, even if it isn’t a brief or read by the minister, will feed into the eventual policy that the minister might act on. You’re working with intelligent professionals all of whom can write. Why is what you do important? One of the things about working in the public service is that you become insecure because your work is so often changed by those higher up in the hierarchy that you lose faith in yourself. So people write in a very careful and timid way that leads them to use far more qualifications and far longer sentences then they need. Often in the public service, the most important thing to do is call a spade a spade rather than hide behind a lot of obfuscation. What do you enjoy about being a facilitator? Well, I really enjoy making complex things clear and I also love hearing people say ‘I finally understand’ or ‘I’ve never understood this before but now I do’. I often hear that about active and passive voice. My experience as a public servant, certainly helped to facilitate workshops, especially the policy workshops. As I say to participants: It’s what I wish I had been told when I first started in the public service. So I tell the participants things that would’ve really helped me as a public servant. And also, my experience from eight years in the public service, especially in policy, helps me make my workshops practical. I also really enjoy explaining things to people, I get to draw cartoons on the white board. And when participants are kind enough to laugh at my jokes. They’re a captive audience, they can’t run away! I row in Lake Burley Griffin with Black Mountain Rowing club. Normally I row 4-5 times a week but at the moment I’m just rowing 2-3 a week. Slack! I garden, I’m a mad-keen composter. I like reading when I get time and cycling. What did you do your Ph.D. on? British colonialism and economic theory 1775-1850. It took me eight years during which I had three children. It’s actually a really good thing to do when you have children. I read The Wealth of Nations by Adam Smith beside the cot. You do get a lot of time when your kids are babies. How has your experience as an academic helped you become a facilitator? As an academic, one of my most memorable tutorials was at Sydney University. There was a booking mishap and so we had no room for the tutorial. So we had to go and sit in the stands at the oval. And that was a great tutorial and it showed you how if you pushed the envelope a little bit, it becomes a lot more interesting. Also, when I was doing my Ph.D., we had a group of post-graduates that got together and we had to explain what our Ph.D. was about. There was no map of the world to explain trading routes which were very important to British colonialism in the first half of the nineteenth century. I knew British trading routes so well that I used the academic’s bookcase that took up an entire wall. I took books out and made the shape of Africa, Europe, China and Singapore and the Malay Strait to show people. And a lot of people said that that was the most memorable and interesting explanation. What’s your favourite workshop to facilitate? I really like the scientific writing workshops. And I also like policy workshops. I particularly like policy workshops when you’ve got the one team and they’re all working on a real policy problem. A really good half-day workshop was a policy brainstorming session where I showed the participants how to use Edward De Bono’s six thinking hats. And they came up with great ideas and in fact, time blew out because the person whose policy problem it was, couldn’t write down solutions fast enough! They just came up with so many solutions. I think those policy brainstorming sessions freed people to really think. Finally, you worked as the National Director at ChilOut? What did that involve? ChilOut is short for Children Out of Detention. When I was National Director, in 2000, children in detention centres had no access to schooling. We got teachers in the detention centres and advocated for medication and other things that the kids needed. We’d also try to help them get permanent residency in Australia. And when they couldn’t get permanent residency, but were out of detention on temporary visas’ we helped the families find accommodation. No one knew about detention centres. I wasn’t aware that we stuck people seeking refuge in Australia in detention centres in those days. When I started, we got the Democrats, who at that stage were the third political power in Australia, to talk about kids in detention. Another colleague and I, wrote an evaluation report on the private correctional company that in those days ran the detention centres, and how they worked within their contract. We found that they did awful things like buying free St Vincent De Paul’s clothing and selling it to the refugees in the detention centres. They had all these people in detention centres and then cut corners to do it as cheaply as possible and to make as much money as possible. There were care provisions in their contract. But we argued for more stringent care provisions for children. We sent the evaluation report to the immigration department and it caused a lot of fuss. A little while later, the Human Rights Commission had an enquiry into detention centres. The whole political discourse changed on children in detention centres to ‘We’ll get them out as soon as possible’.